We, SN Air Corporation, were incorporated in 2002. We are one of the prominent manufacturer, exporter and importer of a wide range of Ventilation, Humidification System and It's Equipment. Our product range includes Humidification System, Cooling Pads, Industrial Ventilation Equipment, Air Handling Units, Centrifugal Fan etc. The wide product range we offer has a consistent demand in the market and is applicable in textile engineering, industrial ventilation, and air conditioning systems. Further, we have garnered a huge clientele across the length and breadth of the world. Our key clients are Clarke Energy Pvt. Ltd., Fair deal Filaments Limited, Sterling & Wilson Company Gen Solutions Private Limited. We are exporting our quality products in China. 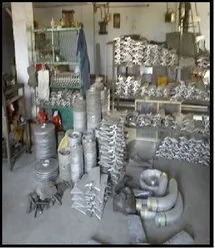 We procure our raw materials from prudent vendors. The production process takes place under the experienced professionals which ensure the dimensional accuracy and uniformity in our products. We have streamlined our processes so as to enable maximum possible efficiencies, the benefits of which are passed on to our customers. Assisted by a dynamic and dedicated team we have managed to earn a distinctive name in the market. We are constantly enlightened by the brilliant leadership of Mr. N.K. Sinha, whose constant motivation and guidance have enabled us to achieve an impeccable reputation in the market. We are highly regarded for our ethical disposition. 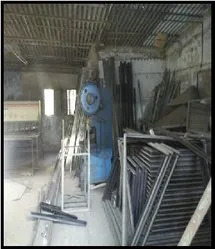 The products we manufacture are applicable in various industries like textile engineering, industrial ventilation, and air conditioning system units. Further, our product range caters to the needs of Power Plants, Steel Plants, Food Industries, Textile Industries and Automobile Industries. We have a team of efficient professionals which aids us in achieving our organizational objectives. Completely aware of the latest technologies, our team is dedicated to providing quality products that serve the requirements of the clients. 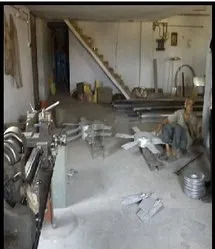 We possess a team of dexterous professionals for designing, manufacturing and installing of the equipment. Our highly motivated team is inclusive of Technicians, Engineers, Quality Controllers, Designers, Machine Operators and Researchers. We have been consistent in offering superior quality products in accordance with the requirements of our valuable clients. Our technological advancements and expertise have helped us in gaining an edge over competitors. 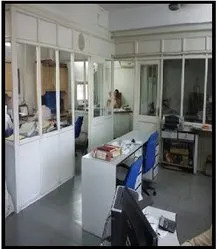 With the dedicated effort of our team and experience of more than two and half decade, we have been able to handle various turnkey projects successfully. Our adherence towards quality-assured products has been highly appreciated by the customers.